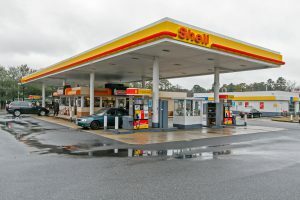 Shell gas station is seen on a cloudy day. Prime Minister Scott Morrison has contacted the competition watchdog regarding rising petrol prices. Last month, prices hit a 10-year-high in Melbourne, with prices on the rise across the nation. “I want some answers out of the ACCC. They’re the cop on the beat, they’re the ones we fund to go out there and monitor why prices are moving up and down and how they’re timed,” Mr Morrison told K Rock 95.5 this morning. Mr Morrison said certain factors including the international cost of oil cannot be helped, but said the ACCC could investigate if consumers were being hard done by. “What we can ensure is the people who are selling it here behave,” he said. Previously when Mr Morrison was treasurer, he directed the ACCC to monitor prices, costs and petrol profits across Australia.